Games have become a must in our family. They are the perfect way to connect, bond and have fun together. This year I’m stuffing the kid’s stockings with games! I’ll leave those for under the Christmas tree. 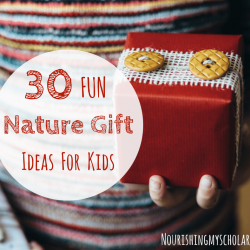 But smaller games make awesome gifts for kids and fit perfectly in stockings! Plus, they are also relatively inexpensive! Just another reason they make great Christmas stocking stuffers! Family game night is a tradition in our family. Which is kinda funny because I didn’t grow up playing many games. Why do I LOVE games so much and why do I consider them an important part of our homeschool? Games provide opportunities for teachable moments including early literacy skills, math skills, verbal communication skills, cooperation skills, and learning to handle wins and losses. There is also the improved critical thinking and problem-solving skills that go hand in hand with gameplay. 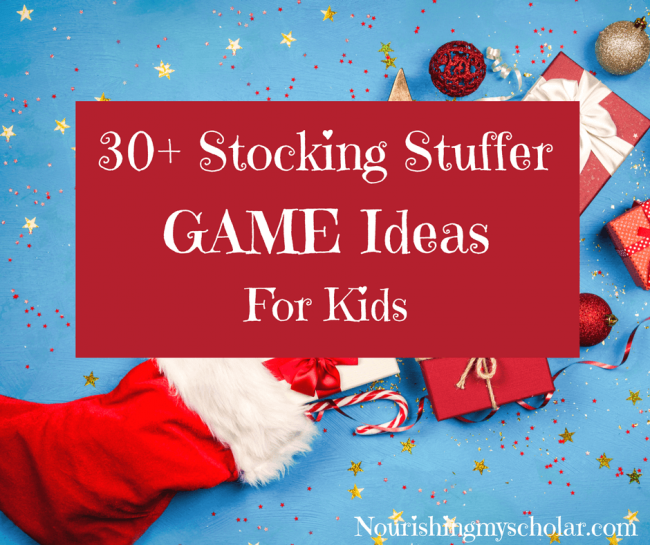 So, I hope you enjoy these 30+ stocking stuffer game ideas for kids! 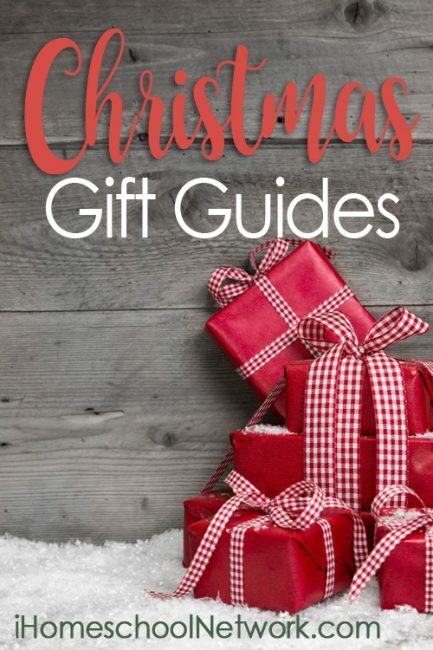 I’ve included the recommended ages and some basic descriptions to help you get an idea of what might fit your family’s needs. 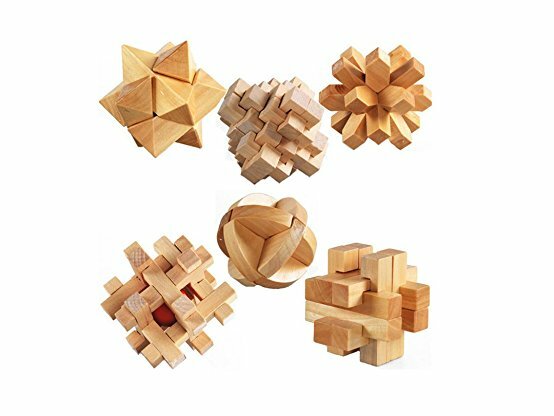 Brain Teaser Puzzle – wooden puzzle toys, perfect for imagination and critical thinking. 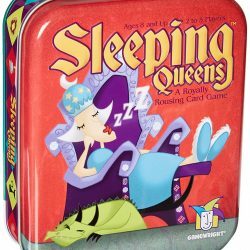 Sleeping Queens – Wake the Sleeping Queens with the Kings while practicing addition and subtraction! Steel queens with Knights. Defend your queens with the might of a dragon, plus so much more! For ages 8 and Up, but our 5-year-old plays with no problem. 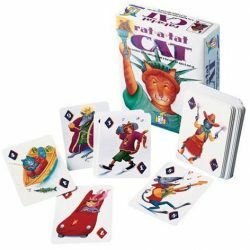 Rat-A-Tat-Cat – A perfect stocking stuffer game of suspense and strategy! Practice basic math facts while trying to remember a series of cards that have been placed face down. Try to beat your opponents hands with cool cats and bad rats! Remember your poker face! 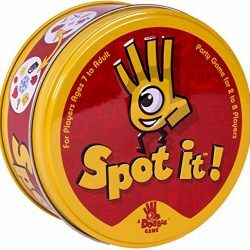 For ages 6 and up, but our 5-year-old plays with no problems. Wig Out! 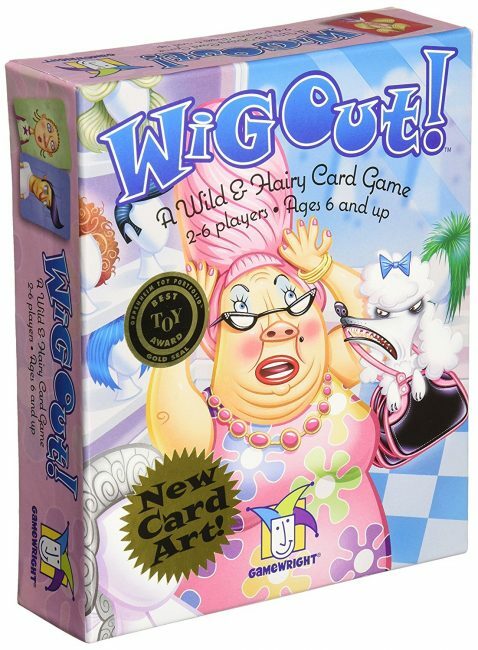 A Wild and Hairy Card Game – Race against your opponents to get rid of cards by matching colorful hairstyles! 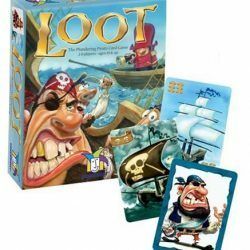 Loot Card Game – Storm your opponents ships and seize valuable treasure! But know that they will loot your ships too! The pirate with the most loot wins. 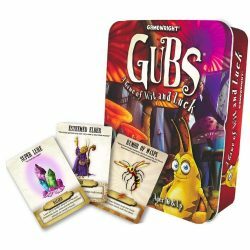 Gubs – Build you GUB colony, but watch out! Your GUBS can be drawn away, trapped and stolen by other players. 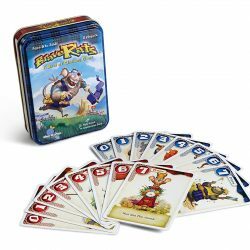 BraveRats – A unique “war” style card game but with rats! For ages 8 and up, but a child that can read should have no problems with this game. There’s A Moose In The House – There’s a moose in the bathroom and the kitchen! 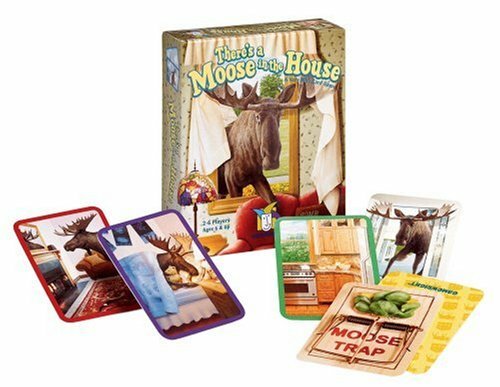 In this silly matching game, the goal is to keep the moose out of your house. 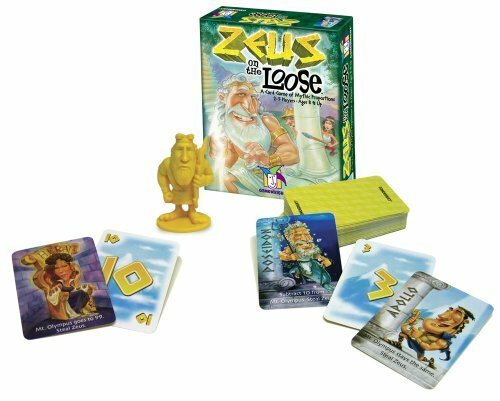 Zeus on the Loose – Catch Zeus if you can! Strategically play cards by adding numbers as you climb Mount Olympus. Summon the strength of the gods to help you in your quest. For ages 8 and up, but our 5-year-old plays with no problems. Sushi Go! – Grab the best combinations of sushi dishes as they zip by to gain the most points! 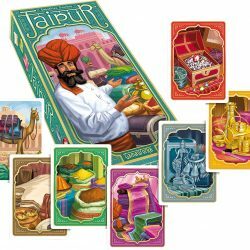 Jaipur – A strategy game involving camels and merchandise! Gain the most points by buying, trading, and selling goods. Ages 12 and up, but our 10-year-old plays with no problems. 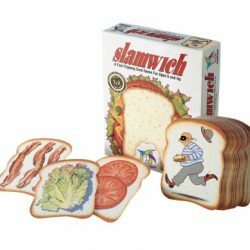 Slamwich – A fast and fun game in which you must flip and stack the loaf cards to build your slamwiches. Lettuce, tomato, lettuce….SLAM your hand down to collect the pile! 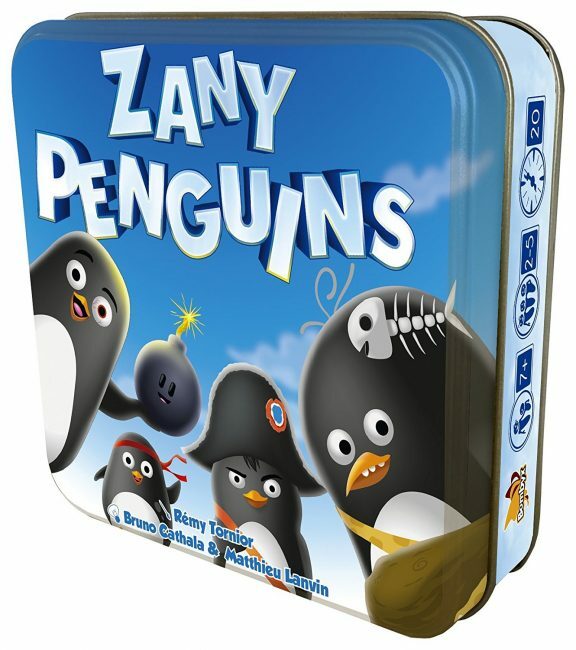 Zany Penguins Card Game – Similar in play to Sushi Go but with Penguins! Grab the best combinations as they zip by to gain the most points! 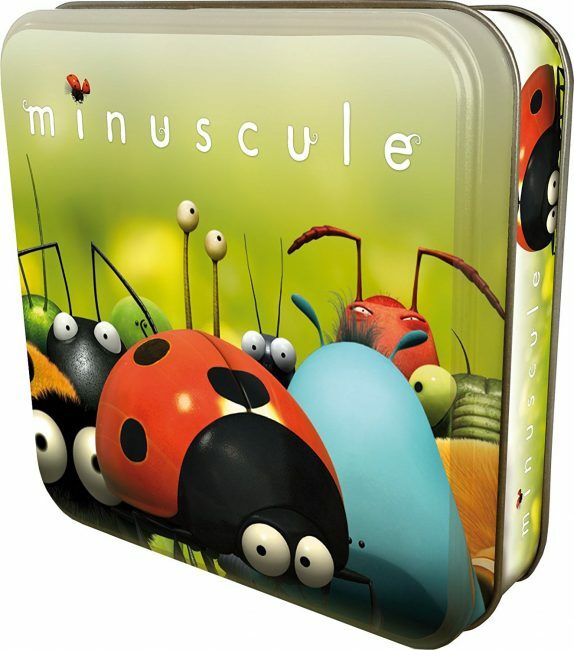 Minuscule Board Game – A racing card game with bugs! 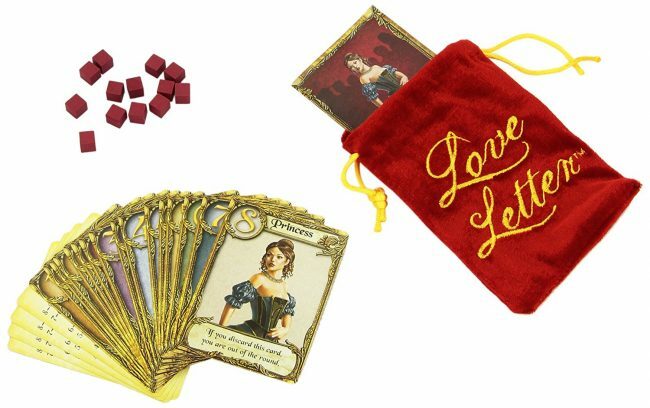 Love Letter – A game of risk, deduction, and luck! The princess has locked herself in the palace and everyone must rely on those within to bring their romantic letters to her. Get your letter to her first while deflecting the letters of other suitors to win the game. 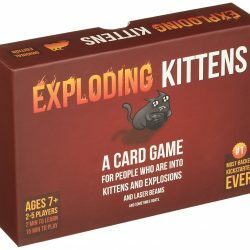 Exploding Kittens – A game for people into kittens, and explosions, and laser beams, and sometimes goats… This is a highly strategic, kitty powered version of Russian Roulette. Use belly rubs, laser pointers, and catnip to diffuse your kittens! 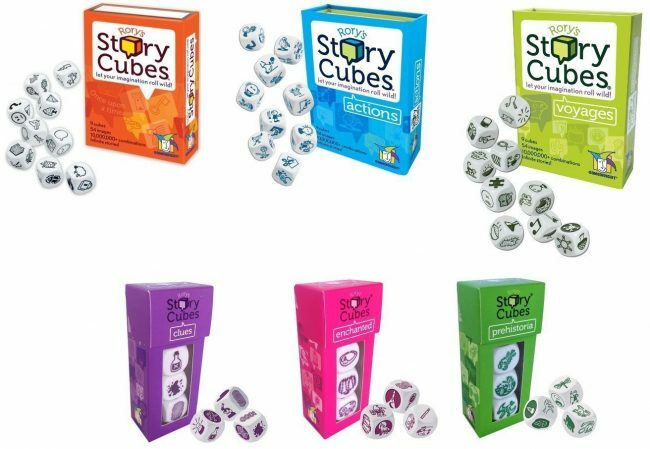 Rory’s Story Cubes – Encourage speaking skills and storytelling with these story dice! Each roll of the dice takes the story in a new direction. 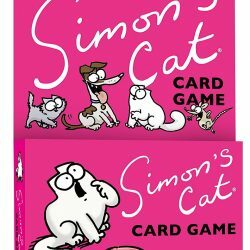 Simon’s Cat Card Game – A fast-paced game in which you go around the table trying to avoid Simons attention. Get caught and you get BLAME. To much BLAME and you get fed last…no one wants that! 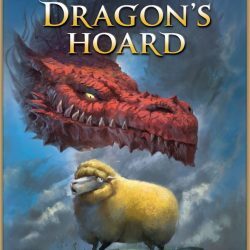 Dragon’s Hoard – Collect sets of marvelous treasures and tend your colorful sheep, but watch out for angry mobs and dangerous wizards! Hoard the most treasure and combat the opposing dragons to win. 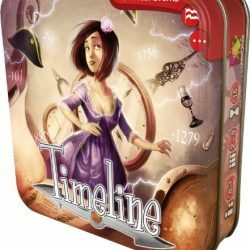 Timeline Card Game – Each card has a different historical event and an associated date. One card is randomly selected and placed in the center of the table. This forms your starting point of a chronological line which will build outwards. On your turn, you will choose a card from your hand and place it before or after the initial card. If your guess is correct the card remains on the table. If it is incorrect it is discarded and you must draw another card. The first player to get rid of all of their cards wins. Can be combined with other Timeline games. 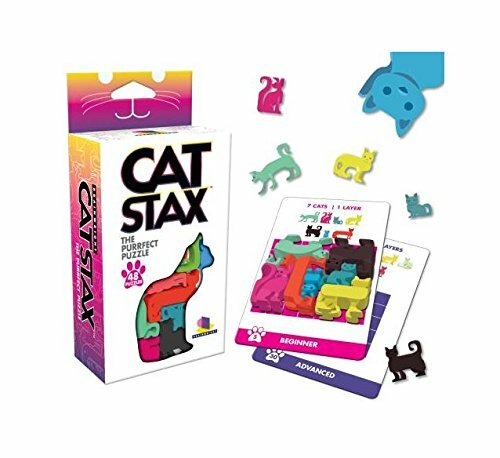 Cat Stax – A fun brain teaser game in which you take the 12 cat pieces and try to solve the 48 unique challenge cards. 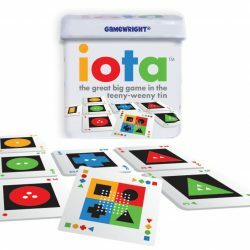 Iota The Great Big Game in The Teeny-Weeny Tin – Add cards to a grid making sure that color, shape, and number are either all the same or all different across the line! 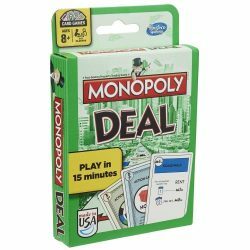 Monopoly Deal – Just collect three property sets to win this fast-paced game! But beware the debt collectors and deal breakers! 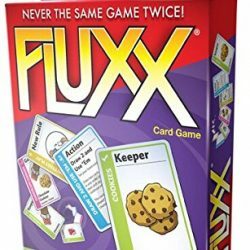 Fluxx – It starts out simple: draw one card and play one card – but New Rule cards quickly make things chaotic. Even the object of the game will often change as you play, as players swap out one Goal card for another. 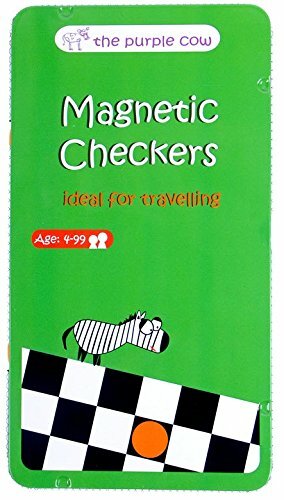 Magnetic Travel Checkers Game – Games on the go are perfect stocking stuffers! These tins offer over 20 different games to choose from. Although checkers are a favorite in our home. 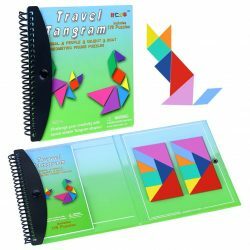 Magnetic Puzzle Tangram Jigsaw Game – Tangram magnetic puzzles have NO AGE LIMIT! These puzzles are composed of animals, people, objects, and geometric figures. 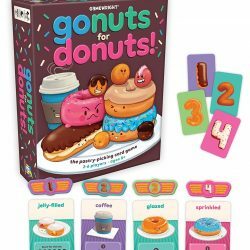 Go Nuts for Donuts Card Game – A Pastry picking game. 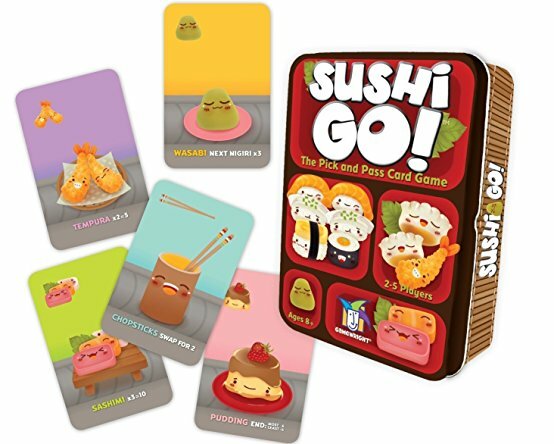 If you love Sushi Go, then you’ll love this game! 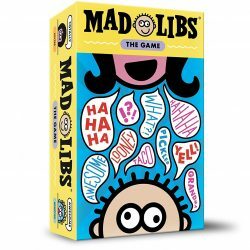 Mad Libs The Game – All the fun of mad libs but in a game! Players use the Word Cards, along with the Sentence Card in play, to make the most appropriately inappropriate sentences possible! All players vote and the silliest sentence wins the round. 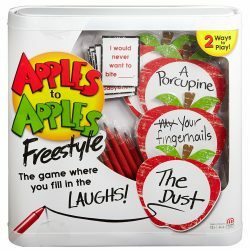 Apples to Apples Freestyle Game – A game of hilarious comparisons! 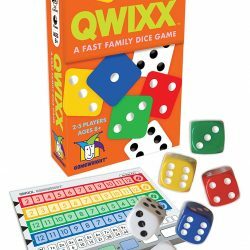 Qwixx – Reinforce probability, math and strategic thinking with this quick playing dice game! 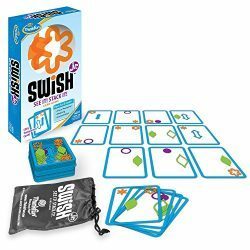 Swish Junior Card Game – Test your spatial intelligence with this fast-paced card game. Matches are created by stacking two or more cards on top of one another so that a colored hoop matches up with the same color ball on a different card. When you make a match, you keep the cards. When all the cards are claimed, the player with the most cards wins. Similar to the game SET. 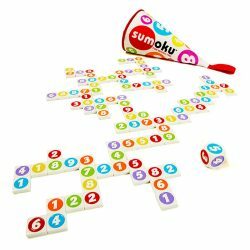 Sumoku – A unique crossword-style game, but with numbers! Spot It – There is always one, and only one, matching symbol between any two cards. Can you spot it? For ages 7 and up, but our 5-year-old plays with no problems. 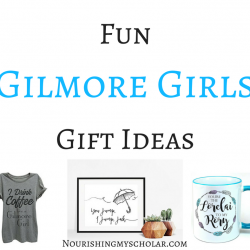 Need more stocking stuffer game ideas? 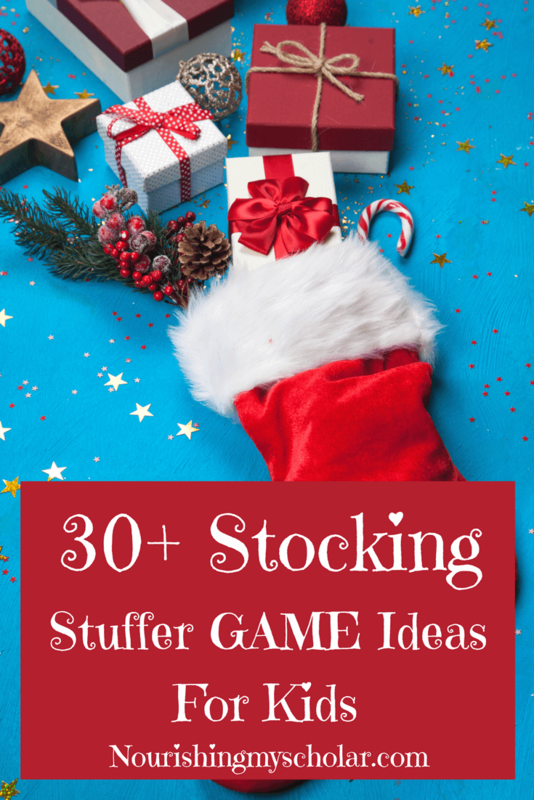 Even more Small Games Perfect for Stockings! What are your favorite games for stuffing stockings? These are great! Thanks for the ideas. 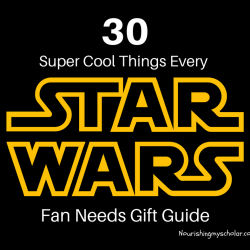 We love games and now that my kids are older, it is hard to find good stocking stuffers. I’m so glad you found some games that will work for your older kids!